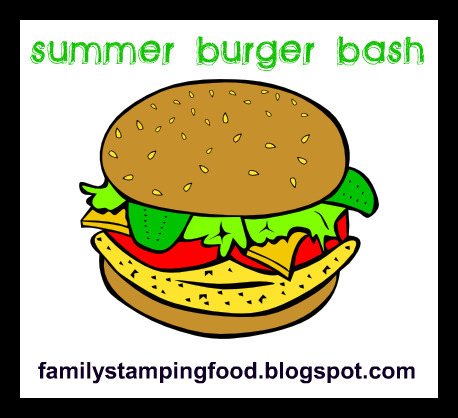 We're testing out some burger recipes featured on the Food Network website by Rachael Ray (and maybe a few others!) This week we tried her Turkey Bean Burrito Burgers. They were really good. I doubled the recipe and made 8 large burgers and 2 small burgers. I forgot turkey doesn't shrink as much as ground beef, so the burgers ended up being HUGE! But that's okay. The extras will be great for my husband's evening snack at work this week. Mix ground turkey, rice, beans, chili powder, cumin, coriander, Montreal seasoning and oil. Form patties and grill until done. Serve on buns with lettuce, salsa and guacamole. It's like a taco burger:-) Great idea! This looks delish! 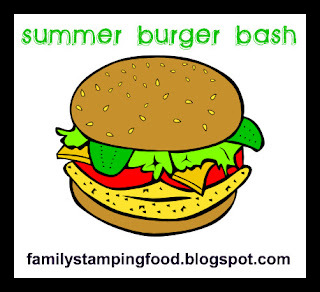 Ya know a Burger Bash would be a really good idea for a linky party. (Just a thought.) I'm getting ready to post my husbands signature burger later this week. It's all his creation, but worthy of a post. Happy Grilling! This sounds delicious!! I have a Saturdays with Rachael Ray event I post every Saturday - you should submit your next RR recipe! I followed your link from Tuesday Tastes. yum... i have never made any of rayray's burgers... I think I will make these tonight!!! THanks... I am a new follower. I have a recipe swap on Wednesdays, I would love it if you joined us!